Thought you’ve seen and heard it all? Meet Fernando Bustamante, the multi-talented performer taking the DJ industry by storm! You can also check him out as the music artist H.B. Monte. Fernando’s past is filled with global radio play, television appearances, club performances, motion pictures, and as an opener for many artists such as Ludacris and Fabolous. He has collaborated on multiple music projects with major artists such as Pitbull, Chingy, Beenie Man, and many more. We are so happy to have him as a part of our team. 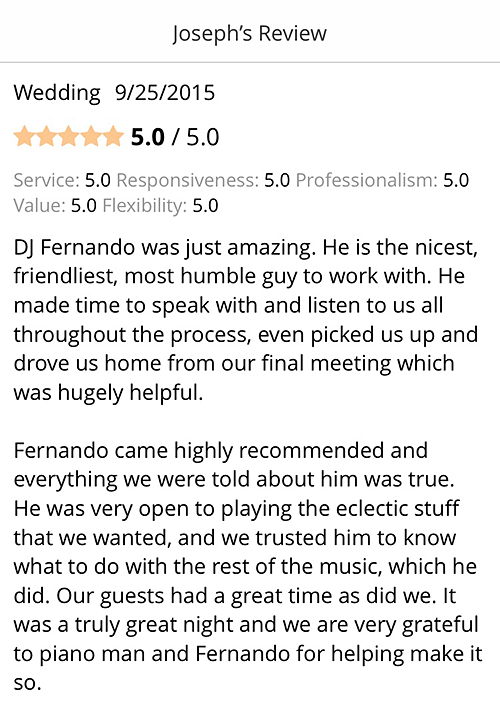 With his experience and skill; Fernando has the ability to mix and blend various different genre’s of music to keep your party going with tons of fun and excitement without skipping a beat. He is one of our most skilled music mixers. Diverse as his music, his Latino, African, and European background has exposed him to various genres of music, which has been a tremendous influence to his innovative style and performance. 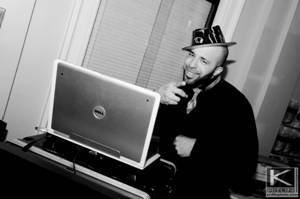 This professional has been in the business since the age of nine; entertaining people, hosting events and spinning records. Fernando has made a wonderful addition to the company by offering our clients something different. He has quickly made a name for himself, especially adding a Latin flavor (with his vast musical knowledge in Salsa, Merengue and Bachata). 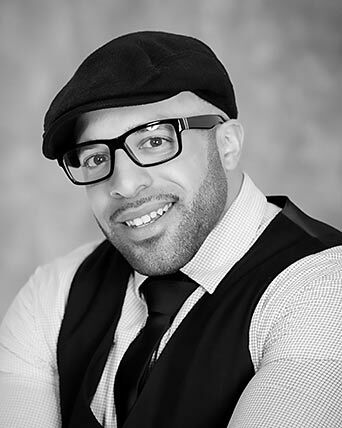 If you’re looking for a high-energy performer, Fernando is the entertainer for you! He has a strong presence that commands the dance floor and he is a natural on the microphone. Don’t be fooled by his background…he’s a well-rounded performer who really knows how to make any audience dance and have a great time. I can’t thank everyone from this company enough. From the very beginning, Diana answered every email and phone call with extreme professionalism and was a huge help every step of the way. She is amazing! Then there is Fernando. 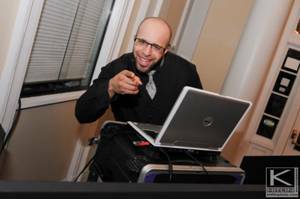 If you want a DJ who will keep the dance floor packed all night long or even a DJ who can slow things down and make the music a fit for everyone, this is your man! Adam and all the guys who helped with our lighting and decor for our reception are amazing! The up lighting, awesome LED towers, and incredible monogram completely transformed the reception area. It was a sunday night wedding and he had almost EVERYONE dancing ALL NIGHT. From the get-go, Diana Belles was a pleasure to work with. She was always available to answer questions, so professional, and on top of her game! I always respect that in a business – and that’s only the beginning! Fernando was amazing!!!!!! Music is a HUGE part of my husband’s and my life and we just wanted everyone to have a good time. He definitely made sure that happened and brought the glow sticks out for everyone!!!!!! So glad he was at the wedding show and my mom and I talked to him not knowing he was the best of the best!!!! Wouldn’t have wanted it any other way!!!!!! We knew from the moment we started planning our wedding we were going to use Piano Man from events we had been to in the past. We had our fingers crossed that Fernando was available, and lucky for us he was. We know that Piano Man has a good reputation and we witnessed it first hand, from our first meeting with Diana until our wedding day we had a great experience. When it came time to meet privately with Fernando to plan the music for our ceremony and reception we were instantly on the same page and knew he would do a great job, he has such an energetic personality. I even received a phone call from the owner, Adam Conway to plan the lighting and its this kind of personal service that puts them above the rest. 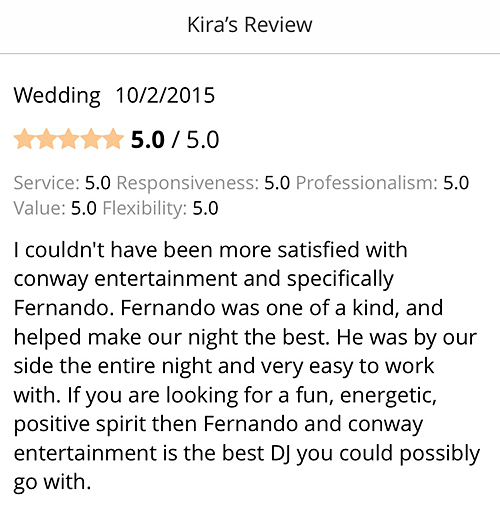 Conway entertainment is the only place you need to look for the perfect wedding DJ. 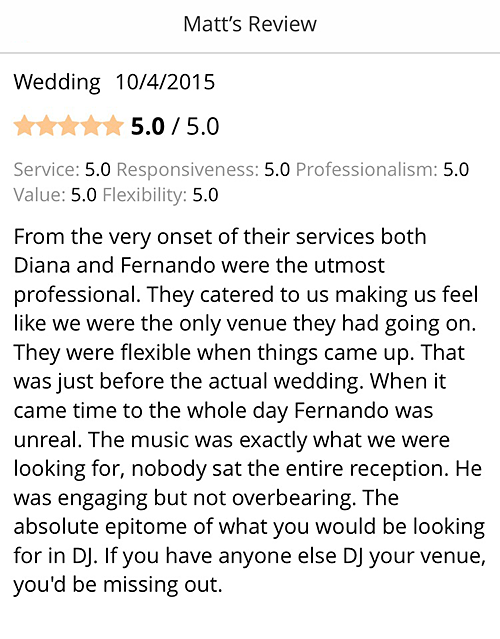 Our DJ was Fernando–he is fabulous (friendly, hilarious and down to earth). He handled the music for our ceremony and reception perfectly. This DJ is one of the best in the business–he truly understands music and had our guests on the dance floor all night long. Fernando can really read a crowd. We had 160 guests from ages 4 to 90–and at one point, Fernando had all of these folks on the floor at the same time. He also brought props which were a huge hit with kids AND adults. Planning with Conway is a breeze–Diana is very responsive and handled all the details perfectly. Also, we went with one of Conway’s uplighting options–made the dance floor look great. Centennial Dinner. Your music and stand-out professionalism truly helped to make our affair one to remember!!! Music is truly the universal language…people from all races colors and creeds were dancing to your music together and truly enjoying themselves. I will be referring him to all my friends and business associates for their upcoming events. Fernando was the DJ for our wedding at the State Room. 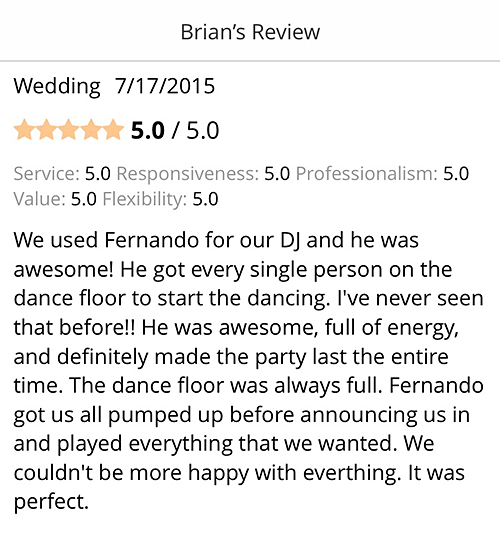 We would like you to know how awesome of a job Fernando did! We couldn’t have been more pleased with his music choices and the way he kept everyone dancing the entire night. Our friends and family are still talking about how great of a party our wedding was. In fact, the State Room let us stay an extra 30 minutes because we were having so much fun. We think that a lot of that had to do with the music. Both my husband and I are not huge dancers, but we were on the dance floor the entire night. Since the very first day we met with Fernando to discuss our wedding, he was very accommodating and helpful. We felt as though he was just as excited for our wedding as we were. Throughout the night, he asked us if it was a problem to play requests from our guests, and the toast that he gave was outstanding. 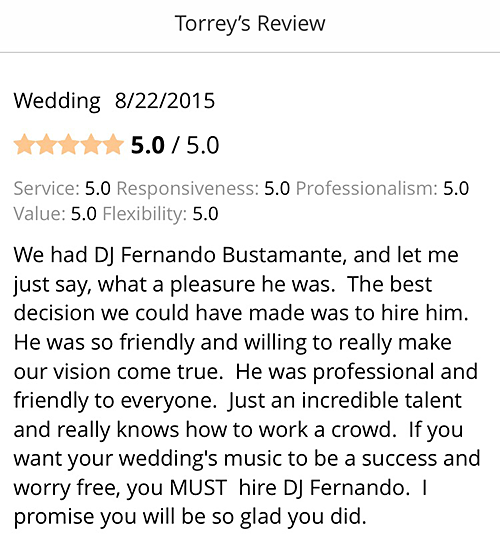 Fernando was the DJ at our wedding and he did a great job! First thing that comes to mind when we think of Fernando is energy and excitement! Fernando has a great sense of humor that kept us laughing. He was very easy to work with; he’s excellent on the Mic and definitely knows good music! 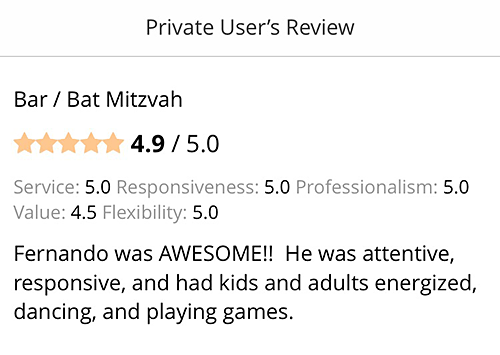 One thing that stood out to us about Fernando is that he kept things very professional, but yet personable and he cares about his clients. 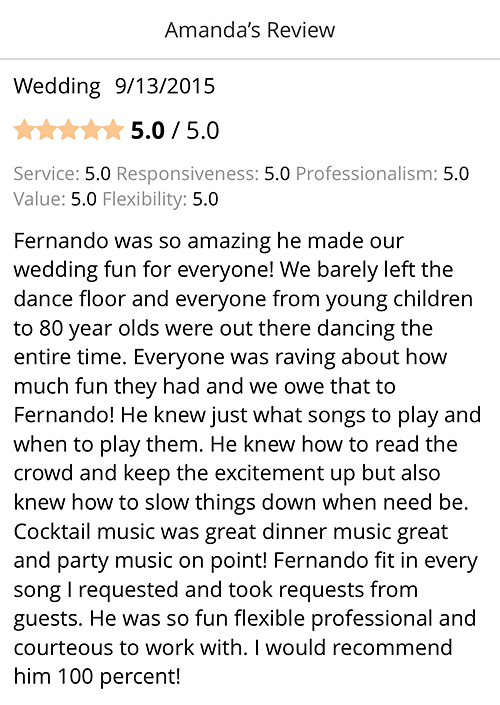 We had both, a DJ and an MC at our wedding and Fernando showed that he was very good at adapting to different situations. 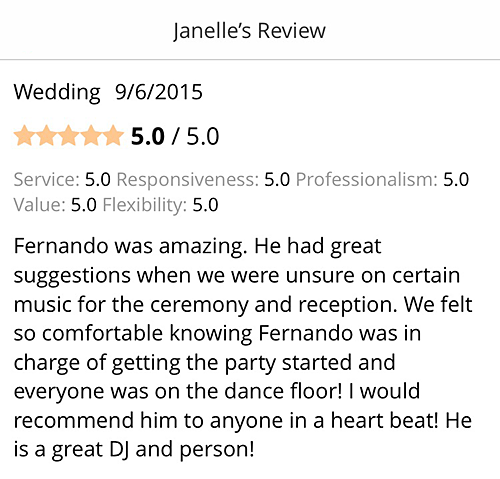 If you are looking for someone who knows how to rock the party your style, then Fernando is your guy! He was everything we wanted – absolutely fantastic!! He did everything we asked, got people involved, kept the party going, and was just perfect!! 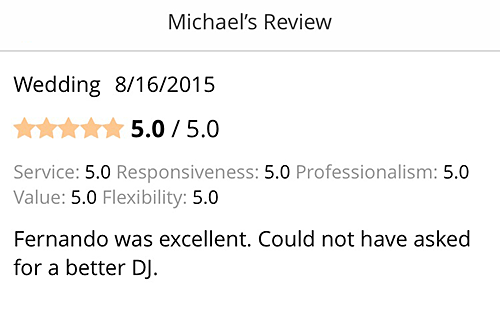 Everyone is still raving about what a great DJ he was, and what a great time they had! Fernando was just wonderful!! 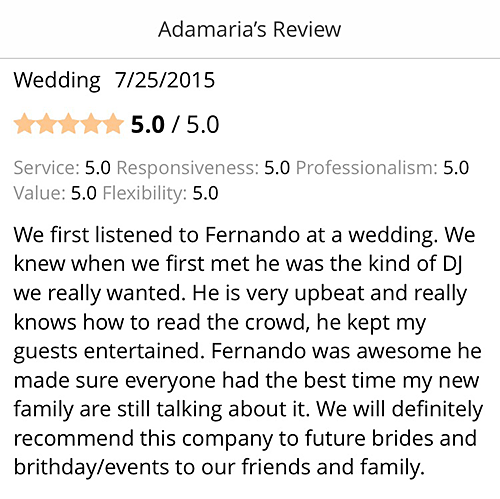 We just wanted to let you all know how happy we were with Fernando at the wedding! We had such an awesome time, Fernando was awesome, really personable, and easy to get along with. (And thank you for not playing all my mother-in-law’s requests! Aww!) You guys made the whole wedding process go by a little smoother! We’re really happy with how everything worked out! We wish we could get married every year! He did everything we asked. Everything was great. Our family and friends said it was the best wedding they have ever been to. Not one person was sitting. Everyone danced all night. 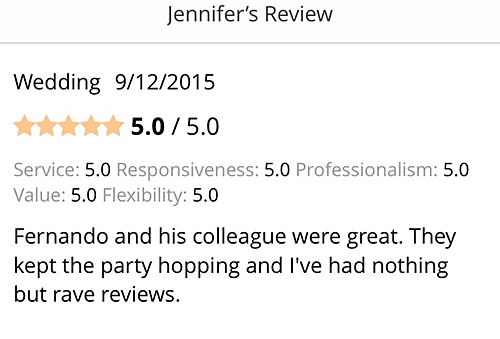 Everyone had the best time – awesome job by Fernando- everyone loved his energy and how he got the party started. It was a different wedding not the traditional stuff and he was great to think outside the box! !